Home > More > Hot Links > Apink’s Jung Eun-ji to release self-produced album in Oct.
Apink’s Jung Eun-ji to release self-produced album in Oct.
SEOUL, Aug. 27 (Yonhap) — Jung Eun-ji, a member of K-pop female girl band Apink, will release her third solo album composed of self-produced songs in October, her management agency said Monday. 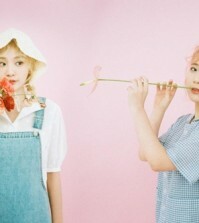 The solo album comes after the female sextet topped local music charts with its latest main song, “I’m So Sick,” released under their seventh EP “One & Six” in July. Jung’s previous two solo albums, “Dream” and “The Space,” released in 2016 and 2017, respectively, solidified her solo career. She has also been active in acting.